The NZHPT is developing a series of templates to assist in the production of archaeological assessments and other reports associated with the authority process. It is hoped that this will result in streamlining the process, as well as ensure consistency of information. Templates for writing archaeological assessments and interim reports can be found here. Alberton is beginning a year of special events to celebrate its 150th year – and everybody is invited. The beautiful India-inspired mansion in Mt Albert, which is cared for by the New Zealand Historic Places Trust, kicks off its celebratory year with the eagerly anticipated annual season of classic high teas and lunches. “Our tea parties and classic lunches have become something of an annual fixture for many people who really love experiencing a relaxing traditional tea service on our lovely verandah,” says the Manager of Alberton, Rendell McIntosh. Once the heart of a 532 acre estate that incorporated much of Mt Albert and Morningside, Alberton was home to Allan Kerr Taylor, the unofficial squire of the district and his family. Although Alberton started off life as a relatively simple farmhouse in 1863, as Kerr Taylor prospered he transformed his humble home into the 18-room exotic mansion we know today – complete with Oriental-style decorative verandahs and exotic towers, reflecting Allan Kerr Taylor’s boyhood in India. “Alberton’s special charm and ambience provide the perfect background for our season of special teas and lunches – and we really encourage people to dress up in appropriate period dress if they want to,” says Rendell. Classic Luncheons – freshly made sandwiches, savouries plus dainty home-made cakes and biscuits: Cost $35pp. 12.30-2pm February 21, 22, 23, 24, 28 and March 1-3. 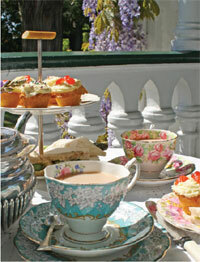 Devonshire Tea Parties – freshly made sandwiches and scones (with jam and cream topping): Cost $23pp. 2-4pm February 21, 22, 23, 24, 28 and March 1-3. 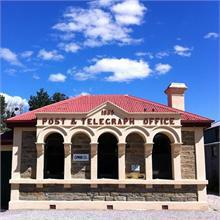 To book email alberton@historic.org.nz or phone 09-846-7367. Thames School of Mines will be open seven days a week, 11am – 3pm throughout all of February. Visitors to Russell have only a few more days to experience something truly exceptional on-site at Pompallier Mission, the New Zealand Historic Places Trust property. As well as enjoying the unique French pioneer printery and beautiful gardens, visitors can view sculptures in the grounds of Pompallier Mission until early February. “We recently had the pleasure of hosting four second-year Northtec art students whose brief, from their tutor Murray Gibbs, was to observe the tools and objects of the Pompallier Mission printery, and to then upscale and reproduce a favourite,” says the Manager of Pompallier Mission, Kate Martin. “Kata Linton, Jay Knowles, Elijah Revell and Alicia Courtney have done a brilliant job capturing the essence of some of Pompallier Mission’s unique chattels, and rendering them in large-scale sculptural form. It’s great to be able to show them in the place of their conception,” says Kate. Visitors to Pompallier Mission can take part in a competition to identify which chattels the sculptural works represent with all correct entries going into a draw to win a pair of Pompallier Mugs. “The sheer scale of these sculptures is having a ‘jaw-dropping’ effect on visitors to Pompallier Mission – which is wonderful to see,” says Kate. The winner of the sculpture contest will be drawn on 3 February at a concert featuring Bay of Islands folk music duo, Rosewood who will perform their own unique blend of traditional and contemporary music at Pompallier Mission (February 3, 12.30-2pm). Alberton welcomes more Songs for Furry People, a fundraising concert for the Lonely Miaow Association (17 February, 3pm). The concert features Margo Knightbridge (mezzo-soprano), Iain Tetley (tenor) accompanied by Warwick Gibbs on the piano. Previous concerts have sold out and seats are limited, so book early. Admission is $25 per person, $20 concession. Bookings may be made to Margo Knightbridge, tel (09) 8466982 or email m.knightbridge@auckland.ac.nz. The Lonely Miaow Association is an incorporated non-profit organisation dedicated to the rescue and care of stray and abandoned cats and kittens in the greater Auckland area. NZHPT Regional Archaeologist, Dr Matt Schmidt is giving a public talk on ‘Project Nord’ the history of the Norwegian Whalers Base located at Price’s Inlet, Rakiura/Stewart Island on Sunday evening 10 March 2013 at the Rakiura/Stewart Island Community Centre. The touring ‘Canterbury Quakes’ exhibition is being presented at the Otago Museum until 5 May 2013. Focusing on the physical forces and human stories of courage and tenacity, Canterbury Quakes first opened at Canterbury Museum. The exhibition features former Christchurch iconic symbols such as the Lyttelton timeball and the rose window from the Christ Church Cathedral. Come take a tour of some of the most significant heritage sites in North Canterbury: Mrs ‘Ready Money' Robinson’s beautiful Gore Bay Cottage, the Cheviot Hills Station Managers House, the Belltower, Cheviot Hills Mansion Ruins (1868, Category 2), and the picturesque Cheviot Hills Reserve which includes many significant specimen trees, some of which are the largest examples of their species in New Zealand. Owner of the Cheviot Hills Station Managers House, Ange Davidson says recent renovations open up the north side of the house. "We've turned a once poky, dark and very cold house into an easy to live in family home with loads of natural light. We love being the caretakers to such an old and gracious building and feel the renovations have added years onto her life." To complete the day Ange Davidson and Jane Montgomery will put on an afternoon tea and tasting of Cheviot Hills Fine Foods – preserves, award winning venison, Cheviot Hills baking, tea coffee and summer cordial (http://www.cheviothills.co.nz) . • Sunday 24th February 2013. 9.30 – 5.30 pm (Full day outing). • Entry to two properties: Members $5 / Non-members $15 (Join NZHPT when booking for $5 entry). Under 18 years free entry. • Booking form and payment (cheque) due by Friday 10 February 2013. Numbers limited. Please contact infosouthern@historic.org.nz or Ph: 03 357 9610 for a booking form. Take a tour of the Category 2 registered Point Homestead (circa 1867, cob) and garden. Visit the partially restored cob swaggers hut at The Point or join the Canterbury Cobbing group to help with the restoration of the The Point’s 1860s cookhouse. 85 Point Rd, Windwhistle, Hororata . Ophir Post will be open from 2pm-6.30pm Wednesday-Sunday until 30 April. This is in addition to the normal opening hours of 9am-12pm Mon-Fri. The NZHPT Southland branch committee has for many years produced and supplied bronze plaques for placement on registered historic places. These simple plaques are cast in bronze and powder-coated making them suitable for exterior locations. The registration number for the place is engraved on the central oval. The branch committee will shortly disestablish and has a small supply of 'Registered Place' plaques it is offering a last chance to acquire before 15 March 2013. These cost $70 each (including GST) plus $5 postage and packaging (to a New Zealand address). For an additional $10 engraving of the Registration no. can be arranged too. To order, please contact the Secretary of the Southland Branch Committee, Mrs Yvonne Popham email: 'Yvonne Scott' yscott@pggwrightson.co.nz or Ph. (03) 2113130 or (03) 217 6798. NZHPT kaihautu Te Kenehi Teira speaks at Tohu Maumahara ki Rangiriri at the launch of the Waikato War Drivibng tour. A new digital resource launched by the New Zealand Historic Places Trust (NZHPT) is giving Kiwis and tourists a colourful window into the Waikato War of the 1860s – a pivotal conflict of the New Zealand Wars. The resource, which was launched last month, includes a driving tour of key battle sites of the 1863-1864 Waikato War. The tour is at the heart of an extensive Waikato War interpretation and education package that gives New Zealanders and tourists unprecedented access to the stories of a war that tore the country apart, before reshaping a nation. The project is a collaboration between the NZHPT and the Nga Muka Development Trust, and includes a Smartphone and iPad Driving Tour App and brochure, new site signage and artwork at key battle sites in the Waikato, a website hosted by Hamilton & Waikato Tourism and an education resource for secondary schools. The Waikato War is considered to be the defining war of the New Zealand Wars. 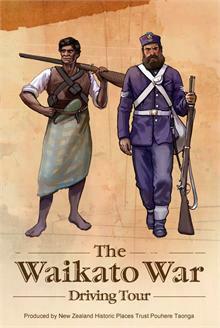 It began with the invasion of the Waikato by the British Army in 1863. “This resource explores some of the actions that took place leading up to, and during the battles. It is also designed to encourage visitors to further understand the impacts and results of the war on the landscape and communities of the time – impacts which are still felt today,” says NZHPT Heritage Destinations Manager Amy Hobbs. The driving tour takes visitors on a journey to 13 sites of relevance to the Waikato War, including the site of ‘Bloody Rangiriri’ where both Maori and British troops suffered more casualties than in any other conflict in the New Zealand Wars. “At each site visitors can use their Smartphone App to access audio which explains different aspects of the battle, while window signs will frame the existing landscape and sit next to artistic impressions of the landscapes of 1863 and 1864,” says Amy. Other sites on the tour include Whangamarino Redoubt, Te Wheoro Redoubt and Alexandra Redoubt, which are all managed by the NZHPT. Hamilton & Waikato Tourism CEO Kiri Goulter says the new Waikato War experience adds another layer to tourism in the Waikato region. The driving tour, map and education package are all accessible at www.thewaikatowar.co.nz. The Driving Tour is part two of a project, which began in November last year with the unveiling of Tohu Maumahara ki Rangiriri – a memorial to all those who fell in the battle of Rangiriri in 1863. New Zealand's painful history of conflict between Maori and Pakeha was acknowledged at the launch of the Waikato War Driving Tour on Thursday 17 January. Speaking at Orakau, where a memorial overlooks the site of 'Rewi's last stand' - one of the best-known battles if the New Zealand Wars - President of the Battle of Orakau Heritage Society Kaawhia Te Muraahi said such sites were of significance to all New Zealanders, not just Maori. "This is the history of our country. It's history that is not widely known or spoken about. It's not something that we talk about publicly enough. But it's the type of story that allows us as a country to mature." He went to say that until New Zealanders came to terms with this violent past, we would not grow as a nation. "Our mission is to ensure that these sites are places where we can come together, learn about each other and hopefully go away a better person, able to contribute effectively to a bicultural and multicultural society. "Until we do this our country will always be a very immature one in terms of race relations. So it's our mission. We are here to transform hearts and minds in New Zealand so that our country can learn from its past and move forward." Chief Executive of the NZHPT Bruce Chapman also spoke at the launch, acknowledging NZHPT's partnership with the Nga Muka Development Trust and Waikato Tainui for the project. He also emphasised the often overlooked significance of the New Zealand Wars. "These events had a major impact on the nation and the people we are today. One hundred and fifty years on it is more than appropriate to tell that story in a bicultural way that is accessible to all New Zealanders, particularly younger New Zealanders." The Government has responded to the Royal Commission’s report on New Zealand’s earthquake-prone building system by releasing a discussion document – Building Seismic Performance Proposals to improve the New Zealand earthquake-prone building system, and is seeking submissions on the document. A series of public meetings to discuss the proposals will be held around New Zealand in February, with submissions on the document due by Friday 8 March 2013. The proposals set out a consistent national approach to dealing with earthquake-prone buildings. Essentially the proposals would require all non-residential and multi-unit, multi-storey residential buildings to have a seismic capacity assessment done within five years. Owners of buildings identified as earthquake-prone would then have up to 10 years to strengthen or demolish these buildings. New Zealand has around 7161 listed heritage buildings (excluding residential buildings) as at June 2012, and NZHPT Senior Heritage Policy Advisor Robert McClean says a large proportion of them would be considered earthquake-prone under the current legislative settings. "Under the proposed policy, there are a range of proposals that will impact directly on heritage buildings," says Robert. "The most significant proposal is that the requirement to strengthen or remove a building would take priority over any Resource Management Act requirement to protect the building. There is a risk that this may lead to opportunistic and unnecessary demolition of heritage buildings." Robert says there are likely to be some difficult choices around the future of a number of the country’s heritage buildings. • Local authorities to undertake seismic capacity assessment of all non-residential buildings (except multi-unit/multi storey residential buildings) within five years of the legislative amendment. • Publically accessible register of earthquake prone buildings maintained by the Ministry of Business, Innovation and Employment (MBIE). • Current national standard of 33%NBS to be largely unchanged for earthquake-prone buildings. • All buildings that are earthquake-prone to be strengthened within 15 years of legislative amendment (including the five years for the TLA seismic capacity assessment). • Owners to submit plan within 12 months for strengthening or demolition (following identification by the TLA via seismic capacity assessment). • Certain buildings could be exempt – e.g. isolated rural churches, farm buildings. • Central government to have greater role in guidance and support. You can make an online submission at http://www.dbh.govt.nz/consultingon-epbp. You can also attend a public meeting in your area in February 2013. 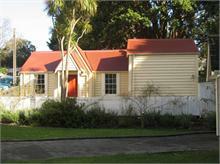 The Sexton’s Cottage (Former) in the historic Bolton Street Memorial Park in Wellington has been registered as a Category 1 historic place by the New Zealand Historic Places (NZHPT). Built in 1857 as the residence for the caretaker of the Anglican part of the cemetery, the Cottage survived the construction of the Wellington urban motorway and is one of central Wellington’s earliest intact houses and a rare example of a sexton’s residence. It is directly associated with the colonial settlement of Wellington, being linked to the Bolton Street cemetery included in the original 1840 New Zealand Company survey plan, which now contains the graves of some of the city’s founders, such as the Wakefield family. NZHPT researcher, Vivienne Morrell says the Sexton’s Cottage is of special significance for its aesthetic, architectural, historical and social value. Various Anglican sextons occupied the cottage for about 30 years until the Wellington City Council took control of the cemetery in 1892. In 1920 the Church of England sold the cottage into private ownership. In 1968, it was included in the land taken for the purposes of constructing the Wellington urban motorway, which cut through the middle of the historic cemetery. Many headstones were removed and 3,700 burials were re-interred in a mass grave near the Sexton’s Cottage. Ms Morrell says the cottage was spared demolition due to the advocacy of the Friends of the Bolton Street Memorial Park, who recognised its heritage value. The Ministry of Works decided to keep the cottage and restore it, and it was reopened in 1978 and gifted to the Wellington City Council. The cottage was later incorporated into the gazetted Bolton Street Memorial Park reserve. Today, the cottage is used as a residence for international artists and is a well-loved building near one of the entrances to the memorial park. “It provides a tranquil place and a remnant of colonial history in one of the busiest parts of the capital,” says Ms Morrell. One of North Otago’s historic gems is opening its doors to the public throughout all of February, giving visitors increased access to a significant part of New Zealand’s industrial and agricultural history. Clarks Mill, the New Zealand Historic Places Trust (NZHPT) property south of Oamaru is usually open only on Sundays, but for the whole of February it will be open daily from 10am to 4pm. In addition, the mill’s machinery will be operating at 2pm on Sundays and 11am on Thursdays. Clarks Mill is New Zealand’s only surviving originally water-powered flour mill with early machinery still substantially intact. 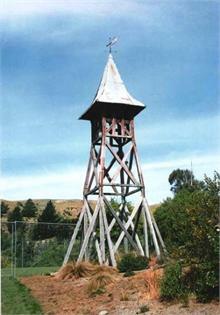 The mill was built around 1865 as part of the nearby Totara Estate and has been owned by NZHPT since 1977. It is the second oldest mill in the country and offers a significant link to one of New Zealand’s most important agricultural industries. NZHPT Heritage Destinations Manager for the Southern Region Paul McGahan says the extended hours will help inform plans for the future development of the site. Mr McGahan says the mill and its machinery provide a great insight into early industrial processes in New Zealand, particularly as the machinery is still largely intact. “Inside Clarks Mill has been likened to being inside the working parts of a giant clock with its large wheels and belts that once moved flour through four storeys,” he says. The mill is also significant as a particularly fine Oamaru stone building, forming part of the large group of Oamaru stone buildings in the Waitaki District. Part of the mill was created with limestone cut from the hill behind the mill. The mill’s heavy machinery was brought to New Zealand by boat from the United Kingdom, Australia and United States in the 1860s and 1870s. Originally, wheat was ground using horizontal mill stones, which were powered by an ‘undershot’ waterwheel. Roller machinery was introduced in the 1890s and electric power was added in the 1930s. In 1901 the mill was sold to the Clark family, who operated it for the next 75 years, and it is now best known as Clarks Mill. The third and largest signing of the Treaty of Waitangi will be commemorated at Māngungu Mission, the New Zealand Historic Places Trust property in Horeke in the Hokianga. Organisers are expecting the local community to turn out in force on February 12 – the anniversary of the actual day of the signing of the Treaty at Hokianga – in what has become an annual festival for the area. “Everyone knows about the Treaty signing at Waitangi on February 6, 1840 – which is a date the whole nation celebrates,” says Mita Harris of the NZHPT, who is also leading the team organising the event. The signing of the Treaty at Māngungu had a large impact on the community at the time, drawing about 70 rangatira – who subsequently signed the Treaty – and between 2000 and 3000 Māori who attended what became a giant hui. The gathering took place at Māngungu Mission in Horeke, a Georgian-styled building which is cared for by the NZHPT and which was the centre of the Wesleyan Mission in the Hokianga. Today the building overlooks the beautiful Hokianga harbour. The NZHPT is once again joining forces with the Māngungu Commemoration Committee, Nga Uri Whakatupu o Hokianga and haukainga to mark the day with fun activities including Powhiri, waka, horses, kapa haka performances and other entertainment. Admission to Māngungu Mission and the Treaty commemoration celebrations is free, though a koha to help cover costs would be appreciated. It may not just be NZHPT that receives a new name under the Heritage New Zealand Bill. A supplementary order paper released late last year included three major changes to the national Register of Historic Places, Historic Areas, Wahi Tapu and Wahi Tapu Areas. The changes have prompted several submissions, which are now being heard by the Select Committee. Several submitters have queried the name change from the Register to the ‘Record’, which is intended to make it clear that the Register identifies heritage, rather than protects it. The perceived weakening of the link between registration and protection through the Resource Management Act has caused concern, and many submitters have asked why more isn’t being done to provide incentives for owners and communities to care for significant places. A second proposal that has received a lot of support is the plan to widen the scope of the Register by providing recognition for wahi tupuna as places of ancestral significance to Maori. Widening the Register through a new tier for our ‘top 50’ historic landmarks has been met with some reservation. Intended to encourage more appreciation for New Zealand’s most significant places, submitters have queried the limit of 50, with most suggesting there many more places of outstanding significance than this limit allows for. Check out the submissions here. 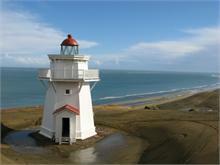 A major renovation and repair project is underway for the 128-year-old Pouto lighthouse on Kaipara’s North Head. A team of six restoration specialists will spend an expected three weeks and an estimated $100,000 on the project, which involves major repairs to broken sections of the glass light-house dome, replacement of rotting timbers and wooden detailing, re-roofing and to complete the work, a major repaint. The renovation team is accommodated at Pouto, with their access to work each day governed by the tides. A helicopter has been used to ferry in materials including scaffolding and container tanks for water-blasting. A security guard is also stationed at the site overnight for the duration of the work. The lighthouse is one of the last survivors of the era of timber-built New Zealand lighthouses and a major Kaipara icon, built of local kauri in 1884 to guide shipping through the treacherous Kaipara Bar, a duty it performed until the mid-1950s when the harbour itself was closed to coastal shipping. Now managed by the NZHPT, the lighthouse attracts large numbers of visitors to make the eight km journey from Pouto Point by foot, quad bike or four-wheel drive. The repair work and refurbishment is being carried out by Paparoa contractors Jim Rowlands and Leon Weber, who previously worked for the NZHPT on such historic structures as Ruatuna, the homestead of former New Zealand Prime Minister, Joseph Gordon Coates. “We are pleased that we can continue to use local expertise to carry out this round of repairs and maintenance and on-going care of this significant site,” says regional manager of the NZHPT's Heritage Destinations North Natalie McCondach. In contrast to today’s relative ease of delivery by helicopter and four-wheel drive to the remote site with its deep and shifting sand terrain, in 1884 materials for the new lighthouse arrived by steamer and were carted up the steep dunes by packhorse. Houses were built for the two permanent lighthouse keepers and their families, as well as a signal station and ancillary buildings, at a total cost then of £5,571. Today only the lighthouse remains on what is now considered an important historical, architectural, archaeological and cultural site. But one thing hasn’t changed since 1884: the mean south-westerly, which has been whipping up the dunes with a vengeance on occasion. Like the original building team in 1884, the spruce-up crew has discovered goggles are mandatory. “I think they’ve been eating a fair bit of sand down there,” says local identity Jock Wills, who has been assisting with transport. Agriculture, history and incredible inventions from the Hawkes Bay, Tararua and Wairarapa regions will be showcased in all their cinematic glory in March, as the New Zealand Film Archive and the New Zealand Historic Places Trust partner to present a programme of films that spans the 20th century. 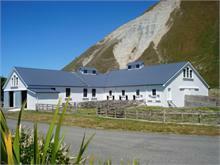 The films will be screened in five NZHPT registered heritage woolsheds. Local history will come to life again in the historic woolsheds through a selection of films from the Film Archive vaults. The 75 minute programme pays tribute to the rich and diverse heritage of the region, encompassing farming history, shearing gangs, kiwi inventions dating back to 1913, and some of the unique rituals of country life. Curated by Jane Paul (NZFA National Programmes Manager) and presented in NZHPT registered historic woolsheds courtesy of farmer owners, the screenings will give the public an opportunity to see some of their local history in some extraordinary woolsheds. A local historian will be at each venue to discuss the area’s heritage and recent restoration projects. NZHPT Central Region Area Coordinator David Watt says the partnership with the Film Archive made perfect sense. “These woolsheds are extraordinary in themselves, but film adds a new layer of storytelling that helps bring to life this region’s remarkable agricultural heritage,” he says. "This is a wonderful opportunity to bring people close to their history – in this case, the development of our wool and agricultural industries. The films and the venues they are shown in are a vivid reminder of how the woolshed has been at the centre of shaping New Zealand’s unique way of life and character. Each of the chosen woolsheds are landmarks in their respective areas, and we are delighted they will be central to telling these stories to our communities." The Reel Life in Rural New Zealand programme is a compilation of 20 short films, showcasing stories from Hawkes Bay to Wairarapa. These include Broad Acres: A New Zealand Sheep Station (1940), a dramatised documentary centring around city girl who visits a family of Hawkes Bay sheep farmers, as well as newsreel and documentary footage showing returned servicemen being trained as farmers near Masterton in 1945, the Puketapu Valley Settlers in 1952, and farming families living in Tinui in 1947 and Te Maire in 1960. It is hoped that shearers will come along and see the items on shearing in the 1950s, such as a film of the 1961 Golden Shears, which features Godfrey and Ivan Bowen. Other films showcase inventions for the farm and home. Among these are the new 1953 master comb, the first electric tractor and the Wenham’s Outlaw pushmower (which could cut through 4” bolts without problem). Percy Fisher’s monoplane is documented lifting off (momentarily) into the Wairarapa sky in 1913, and MacEwan’s “flying banana” pump cleans the cowshed and gives joyrides to the kids. Crafted with classic New Zealand ingenuity, in the No.8 fencing wire tradition, these films are presented along with an inventive recorded soundtrack composed and performed by Wellington musician Bill Hickman and friends. Entrance to all screenings $5, door sales only. A new walking tour of remaining archaeological features associated with what was once a thriving centre of learning is now available to visitors at Te Waimate Mission, the NZHPT property in Waimate North. “Education was always a strong factor behind the establishment of the mission at Waimate North,” says the Manager of Te Waimate Mission, Mita Harris. Things notched up a gear with the arrival of Bishop George Augustus Selwyn in New Zealand in 1842 however. “Selwyn’s first sight of Te Waimate Mission was favourable – largely because he saw it at night,” says Mita. The large white church of St John the Baptist gleamed in the moonlight, and the warmly lit houses presented an ambience of domestic bless. It wasn’t until he saw things in the harsh light of day, however, that he realised just how crude the mission actually was. The Bishop galvinised his team into action, rolled up his sleeves and got stuck in, establishing the grandly named St John’s College. “Selwyn named two of his school buildings ‘Eton’ and ‘College Hall’ – a reflection of his own educational experiences in England,” says Mita. Visitors to Te Waimate Mission can now enjoy a guided tour of the mission house, which is New Zealand’s second oldest surviving building, before heading off to the adjacent King Paddock where they can see the remnants of the old school. “The archaeological remains of these two buildings can now be viewed just a short way away from the mission house – along with other features of this early educational community, including its infant school,” he says. Te Waimate Mission is open daily over the summer holidays. 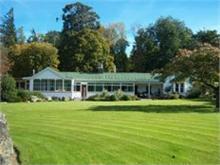 For more information on NZ Historic Places Trust properties in Northland visit www.historicplaces.org.nz. The Wainuiomata Pioneer Church Preservation Society has great reason to feel proud of its efforts in achieving the first steps in restoring a little church in their community built as a Methodist place of worship in 1863. Many of the members of the Preservation Society are descendants of the first settlers in the area and with a large group of friends, family and supporters have set about a programme that will not only bring this lovely church back to former glory, but also help maintain the churchyard that surrounds the church where many of their forebears are buried. The Coast Road Church is the second oldest wooden church in the Wellington region, and this year celebrates its 150th anniversary. It has a Category 2 registration and a covenant with the NZHPT. In a moving ceremony on 27 January, families and friends gathered at the church to celebrate stage one of the restoration work being guided by advice from conservation architect Chris Cochran and from the NZHPT. In 2006 the Wainuiomata Pioneer Church Preservation was formed and took over the property from the Methodist Church of New Zealand. Members of the church preservation committee negotiated a covenant and started on its restoration objectives through discussions with the NZHPT and various other professional advisors. The interior walls have had many layers of paint removed back to the bare timber and preserved. The timber flooring has also been cleaned. The committee is now working towards conservation work of the exterior of the church, with fire protection also a key priority. Chairperson of the Pioneer Church Preservation Society, Joyce Lockyer says the commitment of Wainuiomata families and friends is ensuring that the church will be kept for future generations. Builders carrying out work on Highwic's roof turned up an unusual find recently. A packet of Westward Ho brand cigarettes was uncovered in a recess in the oldest part of Highwic’s roof structure as work was underway to replace the original slate roof. “The cigarette packet was bone dry and in great condition, and the cigarettes still smelled of tobacco – which is pretty amazing given that they could date back to as early as the 1920s,” says Blair Hastings, the NZHPT project manager who is overseeing extensive restoration and conservation work on Highwic. Work on Highwic has been steaming ahead in recent months. In addition to the re-slating of the original Highwic ‘cottage’ – the core of the house before it was extended – the exterior painting is about 70 percent complete, with the new paint scheme a close reproduction of Highwic’s original colours. Other work has included repointing Highwic’s brick work, re-guttering with new copper and tin where appropriate; restoration of the bay windows, including the distinctive wooden balustrades and roofing; and repainting the hallway and a number of rooms inside, again using original colours and sympathetic materials including oil paint on the timber and distemper on the walls. Work planned for the next few months includes replacing floor coverings with specially designed carpets and runners. “We’re really pleased with the progress that’s been made with Highwic, and we’re looking forward to being completely open for business again, and showing the completed product off to the public,” says Blair. Work on Highwic has been funded by the Ministry for Arts Culture and Heritage, the Lotteries Grants Board, Pub Charities and the Chisolm Whitney Family Charitable Trust. Although Highwic is still open for business, visitors will need to be patient with the scaffolding and other minor disruptions for a few more weeks. Our apologies for any inconvenience. About 25 children and adults had a ball engaging with Maori heritage and archaeology in Kerikeri recently. The NZHPT’s Northland staff organised Te Ika Hari Raumati (Happy Summer Fishing) in which participants used an existing historic stone fish trap believed to be over 150 years old to catch fish. “The idea behind the event was to encourage young people in particular to engage with Maori heritage in a hands-on way,” says the NZHPT’s Northland Maori Heritage Adviser, Atareiria Heihei. The result was a good day’s fishing, with participants catching about 15 mullet and parore – all of which were gutted using obsidian flakes, as Maori would have done, and cooked on an umu. “The success of the event was seen not only in catching fish and having a kai, but multigenerational engagement in heritage,” says the NZHPT’s Northland Manager, Bill Edwards. Te Ika Hari Raumati was part of the NZHPT’s wider community outreach programme of events runs throughout the year around the country. On Saturday 2 March Ophir will celebrate its illustrious heritage – 150 years since gold was discovered – with a gala day. Special events will include the unveiling of an information panel showing the village as it was, gold coach rides, a gold-panning competition, Devonshire teas, displays of early crafts, vintage car rides and entertainment by an old-time miner’s band. Events begin at 10am and wind down around 4pm. Nestled in the foothills of the Raggedy Range, the small town of Ophir was born with the discovery of gold on the property of runholders Charles and William Black in 1863. Before long more than 1000 miners had arrived to stake their claims at what was then known as Blacks Diggings. With them came others keen to profit from the influx – hotel keepers, butchers, bakers, merchants, blacksmiths and bankers. All roads in that early period lead to Blacks, a name that stuck with the town until 1875 when the Otago Superintendent of the day gave the town permanent status and renamed it Ophir. 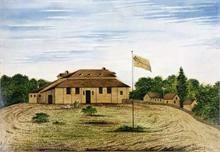 Though reputed to be named after the place where the Queen of Sheba obtained her gold for King Solomon, the townsfolk were not happy with the change and thus retained the old name for the local school, which continued as Blacks School until its closure 100 years later. Still sticking with the name is the town’s one remaining hotel, Blacks Hotel. The tranquillity and rural nature of the historic village also became a magnet for city dwellers, keen to snap up former miners’ cottages for weekend and holiday retreats. In more recent times the Otago Central Railtrail has boosted interest in the village. A number of homestays have opened, along with other attractions, such as several collectable and vintage outlets and an accommodation lodge and restaurant in one of the town’s early general stores (category 2). The New Zealand Gardens Trust recently awarded the garden at Highwic a rating of four stars, elevating its status to a Garden of Significance. “We’re delighted with this result, and it’s 100 percent credit to Sarah Yates and her team of volunteer gardeners who have done so much work in Highwic’s beautiful garden over the years,” says the Manager of Highwic, Cheryl Laurie. Celebrations are planned in the near future – most likely involving a glass or two of bubbly and a beautiful garden.